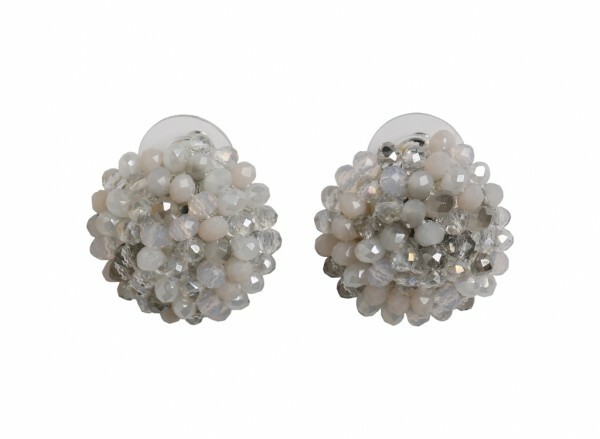 Shining bright like a diamond can be done discreetly with these magnificent glass bead button earrings. . 0.75 inch Ladies button earring with multi faceted glass bead detail.